The crashing sound implores us in. A calming, soothing, moving melody. A power carving every thing and every place we've ever been. Brings to this world poignant harmony. Its looming, booming, grooving, cooling, we simply can't ignore, a world so familiar and so contrasting, the graceful beach beyond the shore. 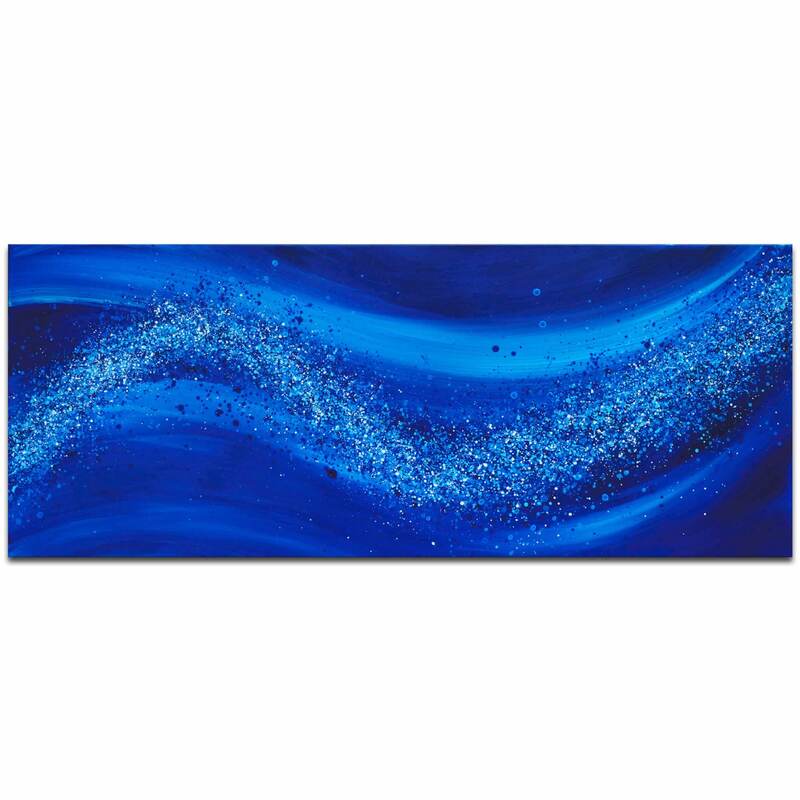 Mendo's Beach Bliss blue abstract wall decor features modern art variations of blue and white in a contemporary metal ocean wave painting. It will take you back to the beach, awakening your senses and reviving you. So, sit down, relax, and take it easy.